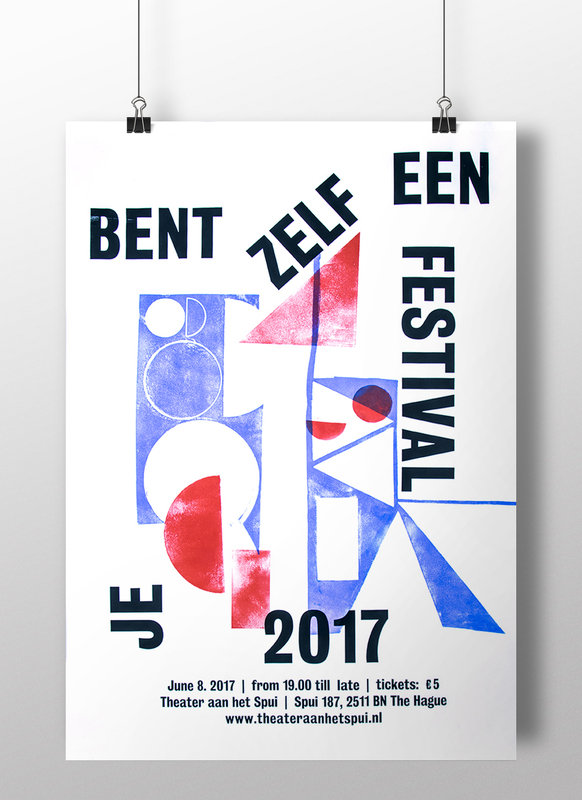 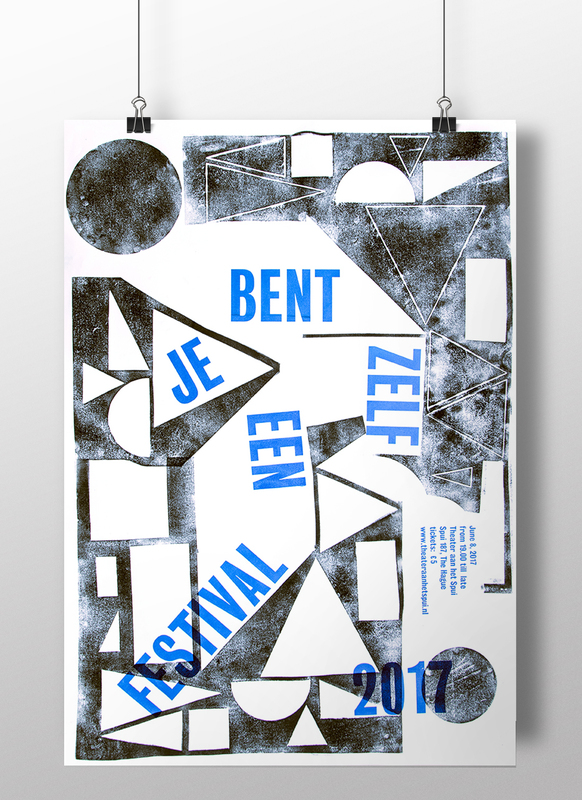 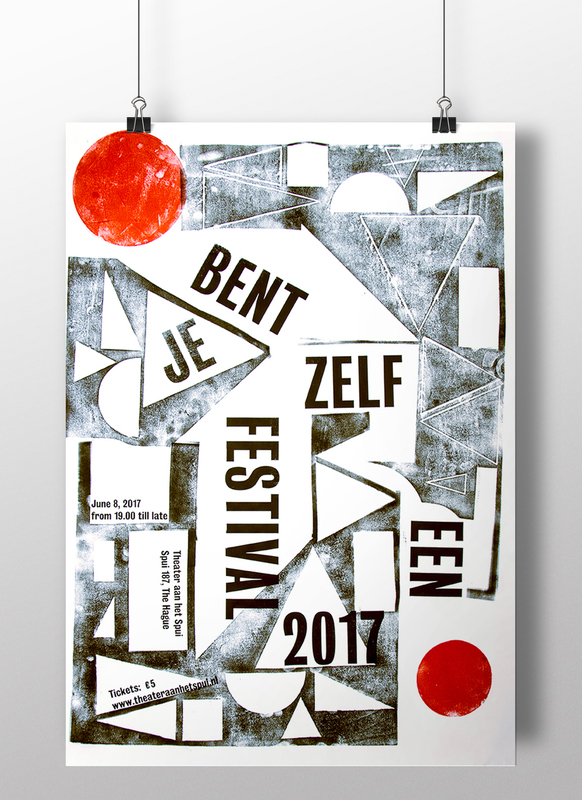 Je bent zelf een festival is a theatre festival organized by Theater aan het Spui, The Hague (NL). 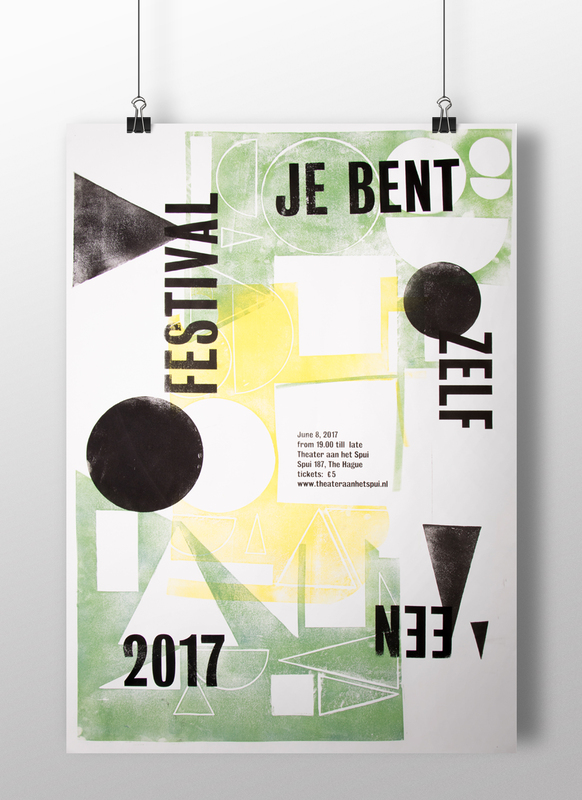 During this festival, aimed for the younger audience, the backstage becomes a stage and the viewers become part of the play. 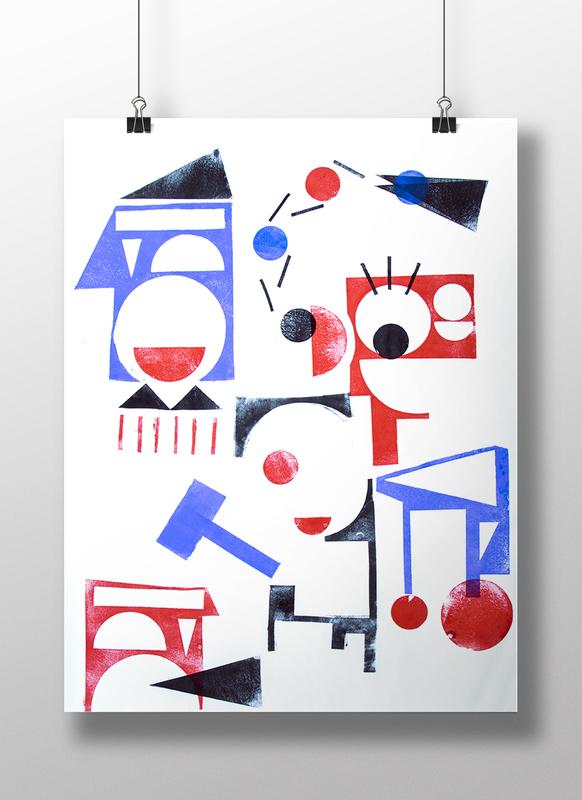 The playful silkscreened poster series represent this dynamic, participation and interchange of roles.